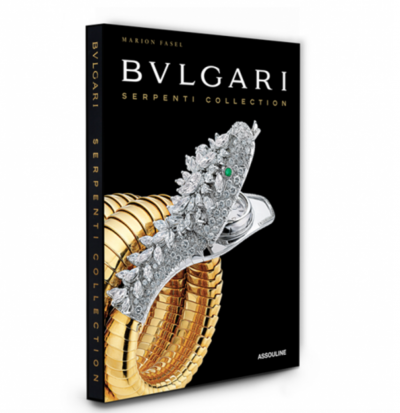 Bulgari’s most recognizable collection today is Serpenti. The Italian jeweler has done any number of variations on the slightly sinister creature in jewelry, watches and bags. A laundry list of luminaries have worn the diamond Serpenti necklace on the red carpet from Bella Hadid to Naomi Watts. The firm has also supported a series of snake themed exhibitions. “Serpenti Form: Art Jewelry Design” celebrates the snake in art and culture as well as Bulgari jewelry. Originally staged at the Museum in Rome in 2016, the show is going to open at the Art Science Museum in Singapore on August 19, 2017. This contemporary wave of enthusiasm for the motif started back in 2013 with the Bulgari: Serpenti Collection book written by yours truly in collaboration with the Bulgari Archives in Rome. In the process of doing the work I uncovered a bit of a jewelry mystery surrounding Elizabeth Taylor’s Bulgari Serpenti bracelet which was the cover piece on the publication seen above. The question is who gave it to her, but more on that in a moment. First let’s look at what Ms. Taylor did for Bulgari’s snake bracelet. 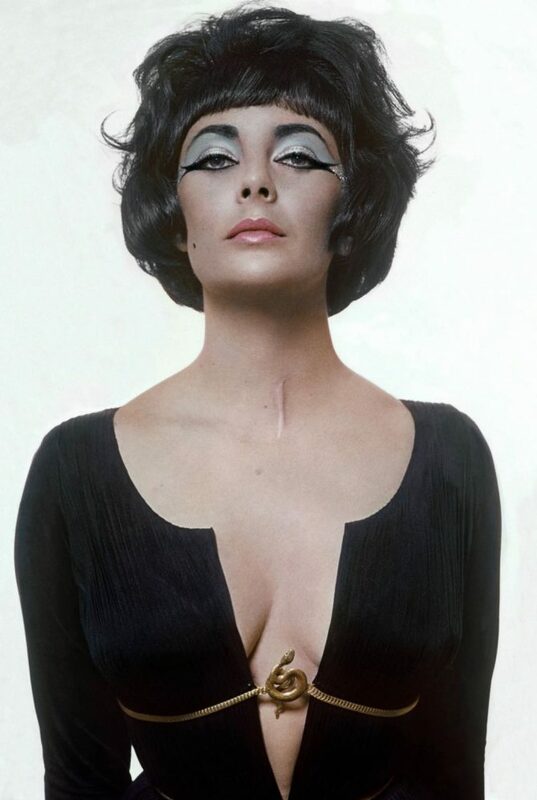 When she flaunted it in a publicity still taken on the 1962 Rome set of Cleopatra (in the photo above) the jewel went from a very nice item in a local jewelry store—Bulgari did not have any branches outside Rome at the time—to an instantly recognizable design internationally. The image became part of the barrage of press surrounding the film’s production when the public learned about Taylor’s affair with her leading man, Richard Burton. 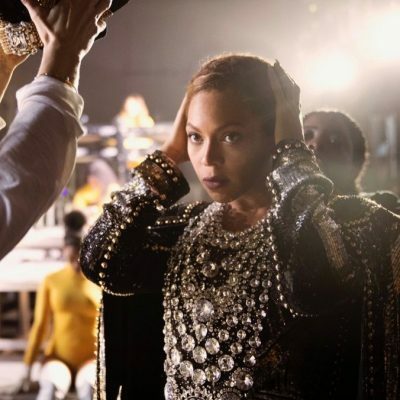 On-set images of the couple as well as paparazzi photos of them kissing on the deck of a yacht and leaving a restaurant after dinner on the Via Veneto were plastered all over the tabloids. Of all the amazing Bulgari jewelry Burton presented Taylor, it is not certain that the Serpenti bracelet she wears on the set of Cleopatra was among them. The firm’s ledger lists the date the piece was purchased—January 30, 1962—but does not reveal the client’s name. There are added elements of intrigue. Both actors were married when their affair began, and Taylor’s husband at the time, the American singer Eddie Fisher, also shopped for her at Bulgari and could have purchased the snake bracelet. 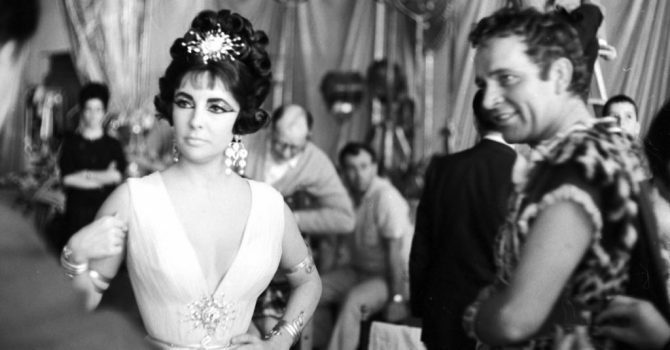 Then again, Elizabeth Taylor might have bought the jewel for herself to celebrate her million-dollar Cleopatra contract—the highest salary ever paid to an actress at the time. It’s also possible, indeed highly probably, the bracelet was a perk in her contract. 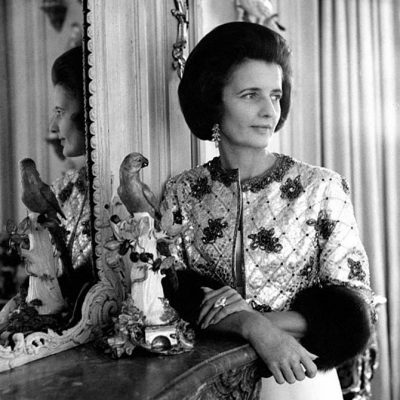 Taylor often required a jewelry gift as a signing bonus. A snake would have been a thematic jewel from the producers. The real Cleopatra wore snakes and snakes were all over Taylor’s costumes. The actress may have posed on the set in the jewel as a sort of thank-you memento for the producers. 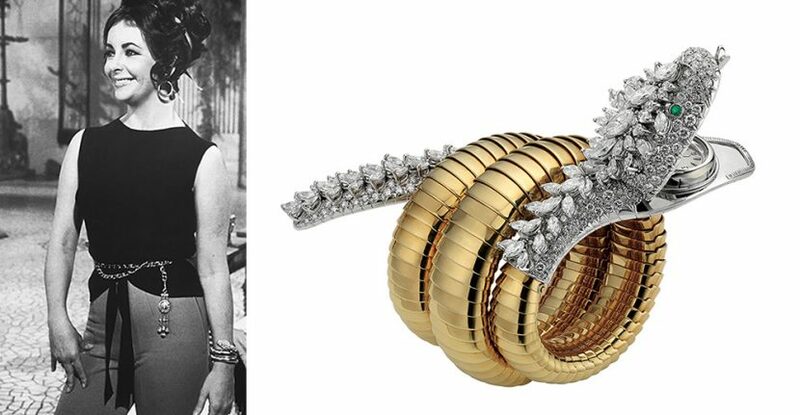 There is nothing specific about the bracelet in Elizabeth Taylor’s book My Love Affair With Jewelry. Bulgari can’t say for certain. If I have to come to a conclusion on the question in my role as a detective in the world of jewelry history, I think the piece was a gift from the producers.